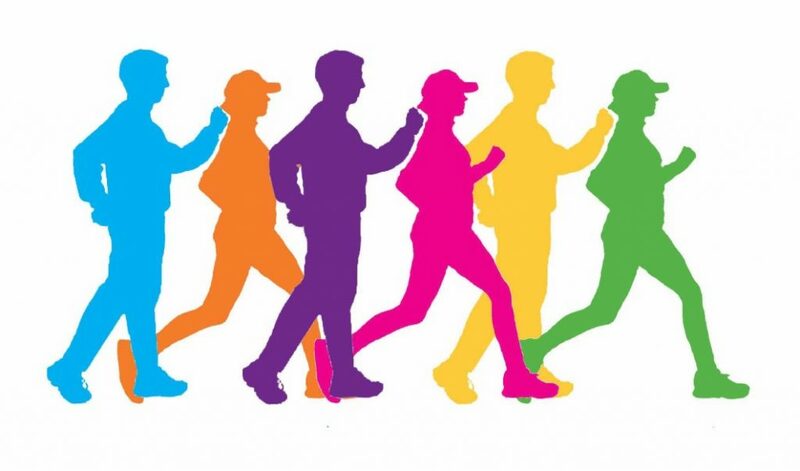 A headline in The Times newspaper reads: ‘Ten minutes’ exercise each week cuts risk of early death by a fifth’ [Wednesday 20th March]. The article informs me this is the finding of a recent study. Yes, another one! I have to say I’ve grown rather weary of the daily advice on diet and exercise that comes our way, sound as some of it may be. However, because I don’t want to sound like a grump and out of fear of becoming one, I will switch from critic to penitent. I suppose I’m feeling slightly guilty having reflected on the headline. After all it is now 4.00 pm and I have only managed a one-minute walk to Sainsbury to buy said newspaper and after 20 minutes in Chap’s barbers another minute’s journey back to the presbytery. I’m afraid when it comes to time spent walking I very seldom get into double figures. Of course, we need to take care of our bodies but I would much rather reflect on how to look after our souls. Perhaps I could begin by pointing out that the human body and the soul are intimately bound up. In the Catechism of the catholic Church it reads, ‘The human body shares in the dignity of the image of God: it is a human body precisely because it is animated by a spiritual soul, and it is the whole human person that is intended to become, in the body of Christ, a temple of the Spirit’. [CCC364]. St Paul says the following, ‘Your body is the temple of the Holy Spirit, who is in you since you received him from God. That is why you should use your body for the glory of God’ [1 Corinthians 6: 19-20]. How do we give glory to God and when do we fail to do so? In this Sunday’s Gospel there is the striking image of the fig tree which the owner of the vineyard wants to have cut down because it has produced nothing in the way of fruit in three years. The vinedresser asks for one more year to turn things around and if he fails then the tree can be cut down [Luke 13: 6-9]. In this parable God, the Father is the owner and Jesus, the vinedresser. The three years refer to the time it has taken for both John the Baptist and Jesus to convince the Jewish people of the need for repentance. The barren fig tree shows there has been little evidence of true repentance and time appears to be running out. Of course, there’s no room for complacency, this parable is for our attention also. It’s so important to understand our need to be repentant and always seeking reconciliation but equally important to know the patience of our Lord. Patience is an attribute in short supply at the moment. Currently the news is full of the political chaos in our country. We are told that Donald Tusk, the European Council President and Michel Barnier, Brussels’ chief Brexit negotiator are running out of patience with Theresa May as she pleads for another extension. Whether she deserves one or not is not in question here but simply to say that isn’t it truly comforting to know that we have a God who, unlike Tusk or Barnier and indeed any of the rest of us has extraordinary patience when dealing with his wayward sons and daughters. We are forever asking him for extensions as we try to sort out our lives and rid ourselves of the sins that cling so easily. Over and over again when he knows our resolve is genuine he gives us that additional time. We see his patience and concern as he asks his Father for a further extension to dig round the fig tree and manure it. In other words, Jesus working again and again on our hearts of stone, calling us to repentance, to honesty and humility and to right our relationship with God and one another. So, let the good Lord work on you. Let him, with your willing cooperation cultivate rich soil for a healthier you. When we are truly repentant and reconciled to God we are in a stronger place and better equipped to live life to the full and produce good fruit in the vineyard. As I draw to a close now and hope this has made some sense, I find my eyes straying to that same paper now open. I don’t believe it! Another heading looms large before me: SPLASH OF MILK IN YOUR TEA CAN REDUCE… I can’t finish the sentence. Closing the paper I decide to go for a ten minute walk and ask whether the good Lord would care to accompany me. Fr. 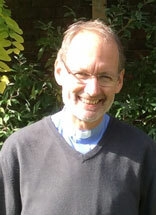 Steve Wymer came to St. Edmund’s in September 2015. He studied for the priesthood at the Beda College in Rome and was ordained in 2001. His previous parishes have been Holy Innocents (Orpington), St. Teresa’s (Ashford) and St. Simon Stock (Walderslade). Before being appointed as Parish Priest here, he took a sabbatical ending in North Wales where he completed a thirty day silent retreat at St. Beino’s Ignatian Spirituality Centre.